BUILT-IN MICROWAVES CHANGING THE COOKING DEMANDS OF INDIAN HOUSEHOLDS Microwaves are the most loved appliances that take care of our everyday cooking needs. Every Microwaves that are crafted works differently one must be shocked to know that the old generation microwaves had completely different features that the built-in microwaves do carry. Built-in microwaves are not only the market’s call, but it also have proved different because of its all round features that every product carry. 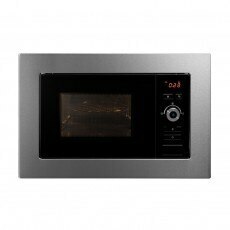 Buying Kaff’s microwaves make your deal easy as it provides 4 in 1 characteristics in all its built in microwaves model. BUILT-IN OVEN- BUY BUILT-IN OVENS ONLINE IN INDIA FROM KAFF Want to redefine the way of cooking, grilling and baking your favorite food preparations? It’s always possible when you have this magic appliance like an oven in your kitchen. 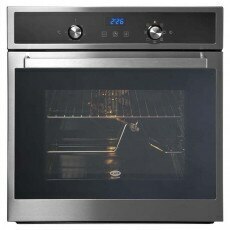 Kaff’s new range of built-in oven has been developed keeping in mind the convenience factor that it renders. Kaff’s built in ovens are in compliance with European directives. These built-in ovens provide an elegance and convenience. The Kaff’s products are known for its hygienic and healthy cooking functionalities. The drop down grills helps the oven to get a better access and get cleaned easily. This easy cleaning option in the built-in ovens makes the oven must buy. The built-in ovens from Kaff India provides multiple features that makes cooking easy and fun process. The ovens have been developed by the best of minds and it takes care of Indian homemaker’s taste. These are developed in futuristic designs that are elegant to complement in the Indian kitchens. Every oven has a certified energy efficiency of A. This black tempered glass hob offers you five SABAF burners with one triple flame for your modern kitchen where you like to experiment. All you need is our recipe book to get you started. This 90-cm wide hob features five SABAF burners with one triple-flame. The stainless steel hob is perfect for your contemporary kitchen and cooking style. This chimney offers your cooking an extra powerful suction to ensure a healthy environment. With a 1300 m3/h suction power, an optimal airborne grease control zone, wide chamber entrance and large oil cup you can say goodbye to fumes, odour and grease in your kitchen. Its filterless technology also ensures that this chimney is easy to maintain. This stainless steel cooker hood with a black glass panel and touch controls will up your kitchen's style quotient. It's 1250 m3/h suction power allows you to cook in peace without being enveloped in smoke and fumes. The 90-cm wide chimney with white tempered glass in the front is the perfect fit for your all whole kitchen decor. Its 1250 m3/h suction power and filterless technology keep the fumes and airborne grease out of your cooking space while requiring a low maintenance. This is the right choice for your large kitchen where you create many delicious Indian meals. Do you have an island cooking space? Then put the spotlight on it with this cooker hood. This 90-cm wide chimney with a 1200 m3/h suction power and 4-point suction will keep your kitchen smoke-free. Four 40 watts LED lamps will illuminate your cooktop. This 90-cm wide cooker hood offers a 1200 m3/h suction power. The aluminium filter makes it easy to clean while the stainless steel finish makes your kitchen look beautiful.